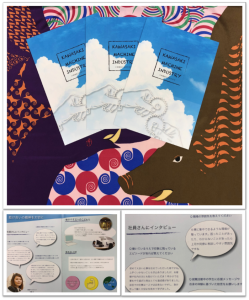 We cooperated Kokorozashi project of Doshisha Women’s College of Liberal Arts. It was inspiring and stimulating experience for us interacting with students forge the future of Japan. We will continuously contribute to the community through active participation in industry-academia collaboration. We appreciate for all the people concerned. “Kokorozashi Project” is a human resource development project between universities and local companies. This project is intended to gain university students ability of working as members of society which is collaboration skills, presentation skills, social manner, and skills for graduation research through planning, company visits, president interviews, photographing, and creating company’s brochure, etc.